BLOG CANDY GIVEAWAY BELOW – DON’T MISS OUT!! October’s Project Life Blog Hop!!!! I can’t believe that October is almost over!!!!! Wowzers! Where did this month go? Project Life Blog Hop Line Up! The last Saturday of each month we just share where we are at with our Project Life albums, nothing fancy, nothing crazy! Just right where you are at! Our line up has been a little on the short side the last few month, everyone is super busy with Holiday and Life! Hang in there with us and we get through the rest of the year. This month our life was SUPER busy, my husband worked very crazy hours, so NOTHING went on in our house!!!! I have alot of photos of really NORMAL – NOT SO EXCITING STUFF!!! Week #40 started October off! I really have been in the mood to “scrapbook” or “Project Life” lately and because I am caught up and working on each week as it happens, I’ve been able to take a little more time and be a little bit more creative. I also used a Stampin’ Up Stamp for the pumpkins! 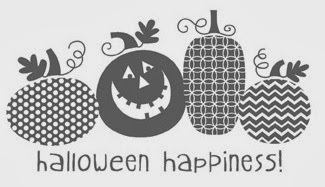 I LOVE LOVE LOVE all things pumpkins!!! I think that Week#41 has been my FAVORITE week this year that I’ve worked on! It is also the PERFECT example of why I love having my core kit sorted by COLOR! For Week #42 & #43 I decided to use some of the 6×6 paper pads that I have, I also cut up my 12×12 designer paper that I want to keep into 6×6 pieces. I do not purchase 12×12 paper stacks any more. The only Designer Paper that I purchase in 12×12 sheets anymore is my Stampin’ Up Designer paper and I use that for cards, projects and Project Life! It was Andrew’s 2nd Birthday! I can not say this enough: I’m so excited to be CAUGHT UP… I’ve never, ever, as long as I’ve been scrapbooking (15 something years now) have I ever been SCRAPBOOKING THE WEEK that is happening. That is so crazy to me…. I love love love PROJECT LIFE and I’m getting excited to start our 2014 family album! I ALMOST FORGOT …. BLOG CANDY TIME!!!!!!!!!!!!! It was really fun putting together the entry. Exciting News & 25% Off Stamp Set Sale!